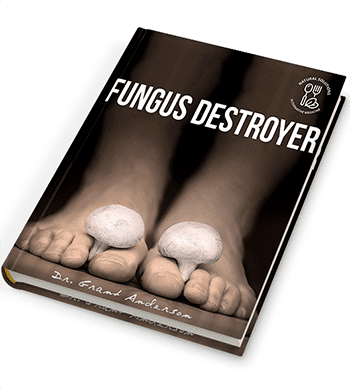 Don’t waste your time and money trying Fungus Remover by ‘Dr Grant Anderson’ because it is a scam! I have no doubt that whoever is behind this product is also behind 11 Day Diabetes Fix, a scam I previously exposed in this blog. Fungus Remover, aka Fungus Destroyer Protocol, claims to be the ‘breakthrough antifungal protocol’ that will completely cure you of any fungal infection ‘within 12 hours.’ This miracle protocol was not actually developed by Dr Anderson, but by one ‘famous’ Chinese doctor named Jiang Xi Liu. Anderson further claims that his protocol not only cures fungal infections, but other non-fungal skin problems such as psoriasis, rosacea and eczema. Anderson further alleges that the hospital management constantly shoved his dad to the back of the line on the liver transplant wait-list because ‘there was a huge line of younger people in front of him who needed a liver.’ He was finally ‘shipped’ to a county hospital ‘to die’ – and yes, he died. Anderson says he was ‘MAD’ over the way his father was allegedly treated by the ‘irresponsible doctor,’ and soon this madness transformed into an ‘obsession’ over finding a cure for the ‘deadly’ fungal infection. That was how he met Dr Jiang, who reluctantly gave him the protocol he uses to successfully treat people with fungal infections. So why is Fungus Remover a scam? Dr. Grant Anderson calls himself a holistic physician who owns a clinic in San Diego. Well I searched and searched, and I couldn’t find anything about any holistic clinic run by a Grant Anderson in San Diego. Furthermore, Anderson claims to be ‘an independent researcher in alternative medicine and a frequent contributor to some of the nation’s leading alternative health sites.’ Well I searched and searched … but I couldn’t find any article written by a Dr Grant Anderson in any alternative medicine site. I also searched for him on the medical sites whose logos he posted (MedicineNet.com, News Medical, Earth Clinic) but came up with nothing. The photos passed off as him are untraceable. I can’t say that they are stock or stolen photos, as they are not found anywhere else except on the Fungus Remover website. 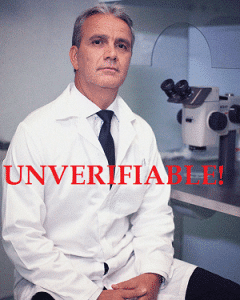 Bottom Line: Dr Grant Anderson of Fungus Remover is untraceable and unverifiable. Serious red flag! Anderson describes Dr Jiang Xi Liu as an 83-year old ‘celebrity’ Chinese doctor who has a reputation of curing ‘almost any disease.’ Jiang reportedly lives and practices in Nianjing, China, and has spoken at top Chinese medical universities like Peking Union Medical College and Nanjing University Of Chinese Medicine. Well I tried to verify this claim by searching at the above-mentioned institutions’ websites … only to come up with nothing. Given that this doctor is allegedly famous with a lot of scientific papers published in medical journals, I thought that it would be easy finding information about him. How wrong I was! I spent hours searching and searching … and nothing. All the testimonials featured on Fungus Remover website are impossible to verify. Interestingly, the testimonials all bear Facebook avatars. 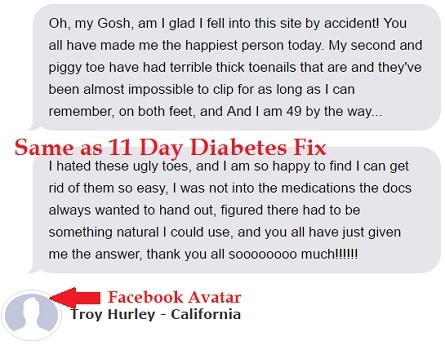 This same thing was done by the scammer behind 11 Day Diabetes Fix. The Fungus Remover scammer went further by posting what looks like testimonials he received to his Gmail inbox. But that sure is NOT a Gmail testimonial. In fact, it is nothing but a cleverly coded HTML script designed to look like the real thing. If the testimonials were really taken from his Gmail inbox, then it would have been a screenshot. According to Grant Anderson, fungal infection of the skin and nails is NOT caused by fungal spores, but by ‘something that’s breeding in your blood.’ This ‘something’ can only be seen using a dark-field microscope. Well, that’s a fundamental lie. Fact is that fungal infection of the skin and nails are exclusively caused and spread by fungal spores. For those that do not know, most fungi reproduce via spores. Fungal infections of skin and nails are more common in older people. NOT true! Superficial fungal infections is not dependent on age. For example, ringworm is a very common fungal skin infection in children. You can cure fungal infection in less than 12 hours. Outrageous lie! Fact is, fungal infections are well-known to be difficult to treat. This is because they have similar cell structure to that of humans, which makes it difficult for the immune system to fight them. This also means that any drug used to treat fungal infections will be toxic to human cells. That’s why fungal medications often have side effects, especially when taken orally. The above information contain truths which even a non-medical professional knows about. It is absolutely shameful that a ‘doctor’ who claims to have spent 30 years researching on fungal infections would make these false claims! Final Conclusion: DON’T BUY Fungus Remover. It is A SCAM! One more thing: Anderson claims that Dr Jiang wanted him to sell Fungus Remover for $399. But because they really want you to get rid of your fungal infection, they slashed the price to $299 … sorry, $199. Oh no wait … that’s still too much! … says Anderson. Get the full Fungus Remover package for $79, or at least get the basic package for $69. Try to leave the page, and another pop-up block you. Then you are offered the packages for a 15 minute-limited, cut-throat price of $39 and $29 respectively. This just screams scam to me. Don’t fall for it! This product is marketed by Software Projects. So if you made the mistake of buying Fungus Remover, you can request a refund by using this form or by calling 1-800-218-1525. Please note that this program will only work for those who are ready to follow instructions. Candida Crusher is NOT a program for lazy people. If this review has helped you, please don;t forget to share it with the relevant people you know so that they too will be informed. Thank you! I found the same story/facts with a guy named Richard Parker from Tallahassee Florida, have you received info. on him? Story basically the same, except his dad lost his leg. As well, I got all the way to the order page and then received a request to send a PHOTO of my credit card along with all my identity details. THIS PROVES IT’S ALL A SCAM! It looks like fungus shield plus may be the re-market of the very same product. Thanks for this article. Yes, it sounds like Richard Parker is the same scam. FungusShieldPlus is the product and they claim NASA tried to hide this formula. ha ha ha ha ha classic! Thanks for the details! 🙂 Yeah, the more this guy talked, the more bogus it sounded. I likewise hated the pop-ups that wouldn’t let me leave the page and the dramatic guilt tripping, and bouncing around the point/dragging things on. My goodness. Such a waste of time, and such a ridiculous product. the worst part is having to listen for a half hour to this nonsense, without being able to fast-forward and get the NAME of the product,k and how to order it!! There us a Richard Parker selling a book on Amazon titled Hendon Fungus. Anyone ever follow that one up? Listening to the long diatribe of threatening and in some cases downright mis representations, one can only see this is a snake oil salesman. The fact that it is not verified and the “main” talker doesn’t apparently have a real name can only lead one to the conclusion that this is a bogus scam against those people who don’t understand the language of snake oil salesman…..scare tactics. If it is so good why don’t they share all their information? Or is it simply a scam? I vote for the later. Either put your money were your mouth is or stop lying too the public. And who is the “father” who lost his leg? Or is he also just another phantom person?